BUYER FINANCING FELL THROUGH. THIRD TIME IS A CHARM! Home has already passed two inspections so bring on the third! Pack your bags and move right in to this beautiful ranch. Comes complete with nearly 2500 sq ft of living space, 3 bedrooms, (Possibility of 4 including the bonus room downstairs), 2.5 baths, a spacious master, finished 2 car garage and a large living room with a fireplace. 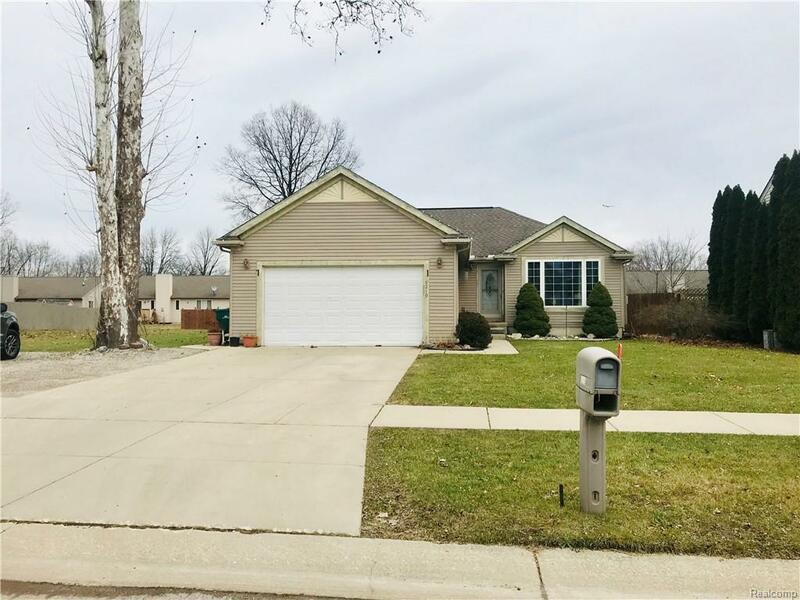 This quiet/friendly neighborhood is conveniently located within minutes of major expressways, travel, restaurants, drug stores and grocery stores. Every inch of this house was utilized to its fullest potential during the design process, from the walk in pantry to the built in bar as well as multiple rooms for storage. Large door wall looking out on to concrete patio and fully fenced backyard; perfect for entertaining guests or making memories with family. This home soaks up plenty of natural sunlight and the basement is a sight of its own. City certs completed.